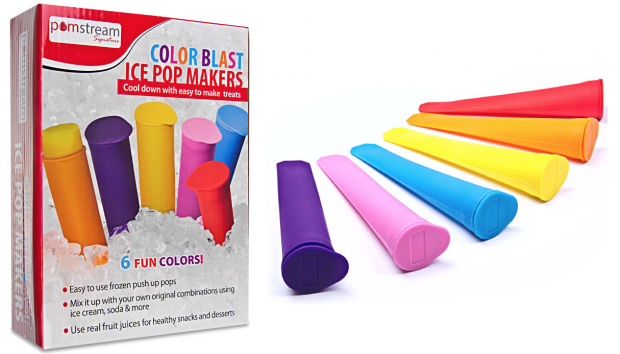 PomStream Silicone Popsicle Maker Only $8.99 + FREE Shipping! You are here: Home / Great Deals / PomStream Silicone Popsicle Maker Only $8.99 + FREE Shipping! I’ve always liked the pushup kind of popsicle because they are way less messy than a regular one. With kids around it’s nice to be able to give them a cold treat during the summer that doesn’t leave them sticky! But I also want to give them something more healthy! The PomStream Silicone Popsicle Maker for Only $8.99 + FREE Shipping gives me the best of both worlds. A pushup style popsicle that I can make from scratch – adding in my own healthy ingredients!